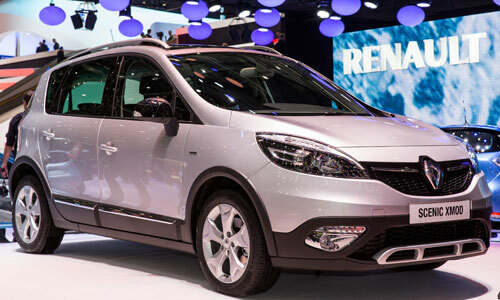 At the Geneva 2013 Motor Show, Europe's best-selling MPV is getting a makeover and is now even more expressive. 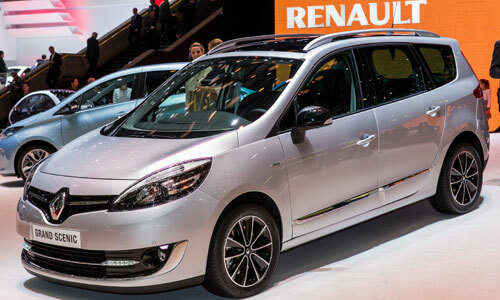 The Scénic family last-born are available, as a world premiere, on the Renault stand: several Scénic Xmod, which we got a preview of in February, and a restyled New Scénic, featuring new front-end styling with a bigger Renault logo set against a gloss black background. 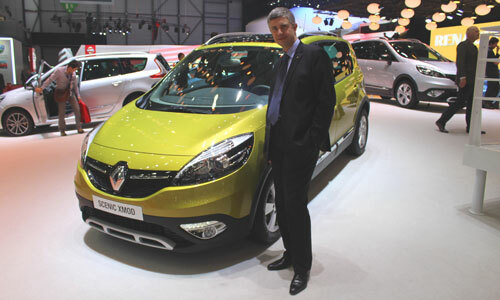 Here are the first pictures live from the Renault stand. 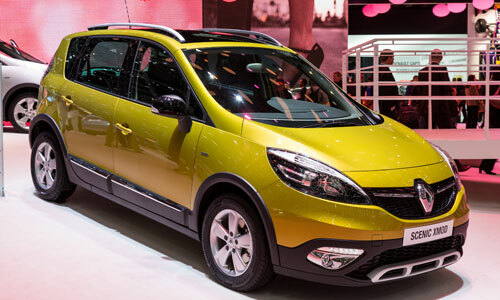 Scénic Xmod has the best of both worlds: MPV, retaining the genetic make-up of Renault Scénic, and crossover with outdoor cues. 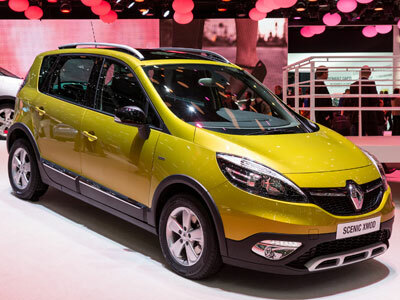 On the adventurer side, Scénic Xmod features raised ground clearance, special front and rear bumpers, sill guards and chrome-finish roof bars (depending on equipment level). The cabin has been restyled with a fixed centre console and cockpit-like driving position. 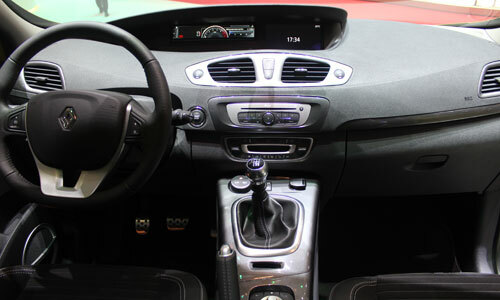 The console houses the rotary control for the Extended Grip system, as well as the multi-directional joystick control for the multimedia system Renault R-Link. 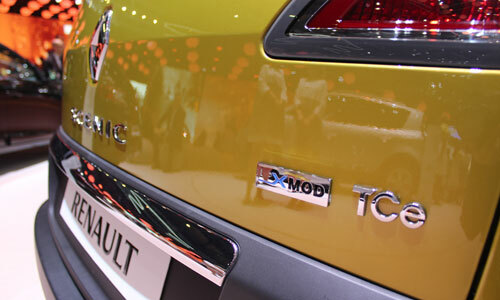 On the MPV side, Scénic Xmod retains the key features that have made Scénic the benchmark in the compact MPV segment, i.e. cabin space and a modular seat layout for optimum comfort. 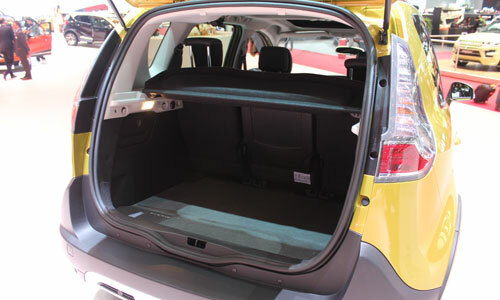 It has a 555-litre boot and 71 litres of additional stowage space throughouth the cabin. Scénic Xmod offers simple, effective and fast modularity: the seats are independent, folding and removable to provide a host of seating configurations. The biggest innovation on Scénic Xmod is newExtended Grip system. This advanced traction control system enables the vehicle to grip the road confidently in difficult driving conditions (snow, mud, sand, etc.). The rotary control located on the centre console allows the driver to select one of three modes: ‘Road’, ‘Loose Ground’ or ‘Expert’. The default ‘Road’ mode suits all hard road surfaces (dry, wet or icy) and offers conventional traction control settings. It automatically reconnects at speeds of more than 40kph after another mode has been selected. 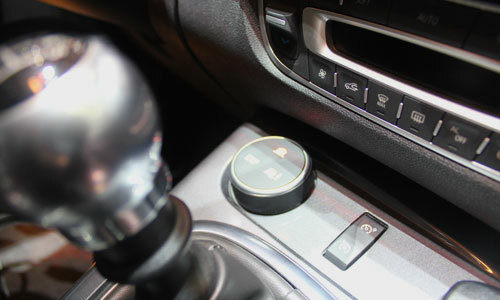 In the ‘Loose Ground’ mode, the Extended Grip system takes over from the driver to manage the driven wheels. 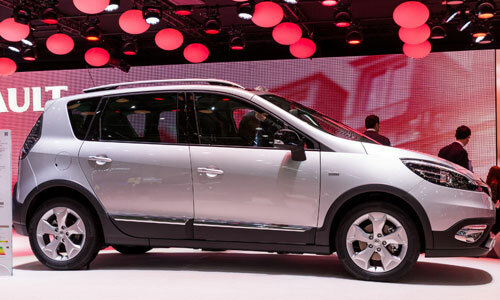 This mode automatically modifies engine torque and brake force distribution to permit more wheel spin at the front. 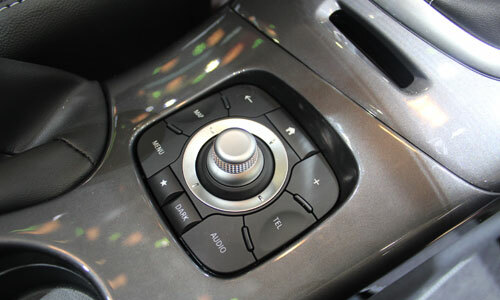 In ‘Expert’ mode, Extended Grip manages the braking system, but leaves the driver in full control of the engine torque to adjust the car’s acceleration. The New Scénic and New Grand Scénic's look is changing too. On top of the new front-end identity, they feature new Energy engines including latest petrol engine Energy TCe 130, and Energy TCe 115, Energy dCi 130, Energy dCi 110 engines.